These traditional Bedouin Rugs can add a flavour of the Middle East to any home. 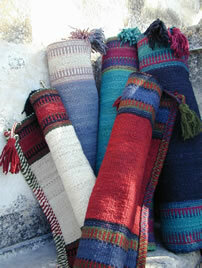 The rugs are handwoven on ground looms which have been used for many generations by Bedouin women in the Negev desert. 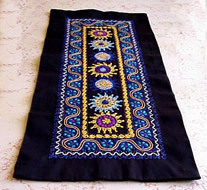 Patterns and designs are both modern and traditional. Made of 100% handspun wool. All colours from colourfast English dyes. The rug construction is strong and durable.